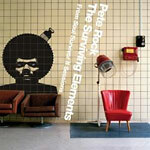 2005 re-issue from Pete Rock, featuring the beats and instros that didn't make the cut to 2004's Soul Survivor II...and that's not a bad thing, which is apparent when you hear this.! Didn't pick it up the first time? Get crackin', collectors. Pete Rock has beats for days!